AOL - How can I add my Calendar and Contacts? Using the automatic setup in Menu > Tools > Accounts will set up your AOL account only for email using IMAP for incoming and SMTP for outgoing mail (which is the default setting taken from the mail server). 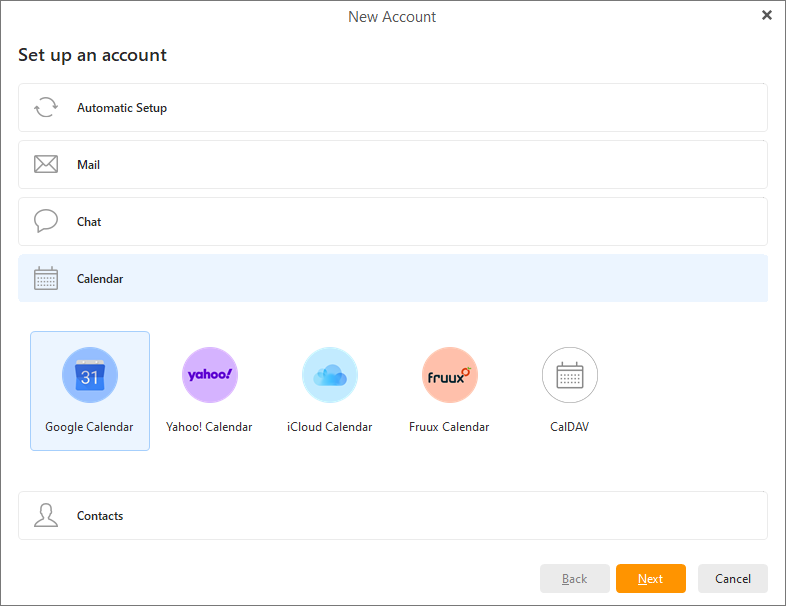 However, you can set up separate Calendar and Contact accounts in eM Client, so using the "+" button for New Account in Accounts section select the Calendar>CalDAV and then Contacts>CardDAV manual options instead of the Automatic setup. and just use your AOL login to set these up.